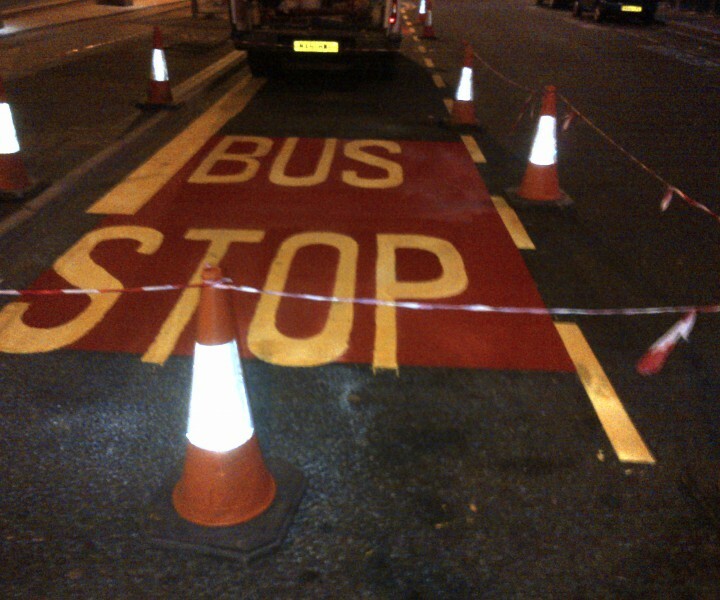 Our client Blackpool Borough Council requested us to supply and lay 6 Bus Bays. The bays were in the town centre, near to night clubs and bars in an extremely sensative and potentially volatile area. 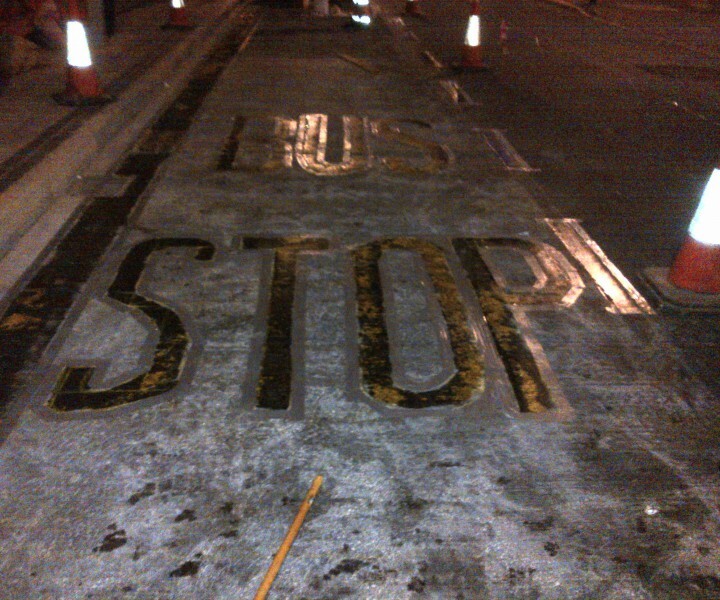 The works needed to be completed and ready for use within 5 hours starting at midnight each day over a period of 4 days. 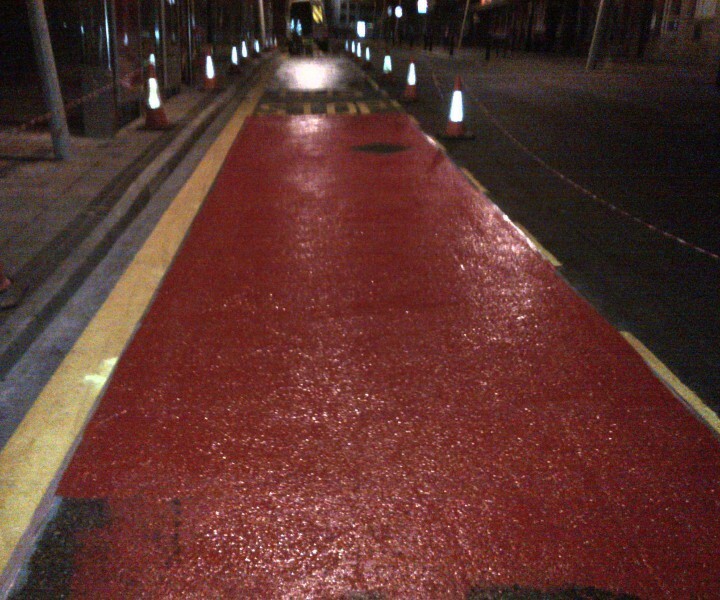 With Health and Safety paramount and the time restriction we used Safetrack SC in red and yellow as this is cold applied, fast drying with minimum plant and labour force required. 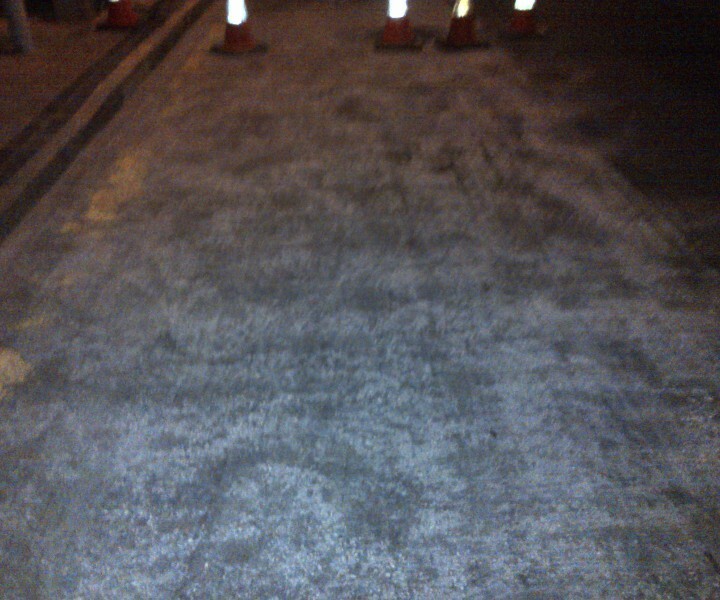 The Safetrack SC was laid directly over concrete with the area primed firstly using specialised circular motion grinder and Par 1 Primer.